Pillow Plate Products | FIC S.p.A.
Pillow Plates are made of two welded stainless steel sheets, continuously spot-welded together along the perimeter of the outer join. 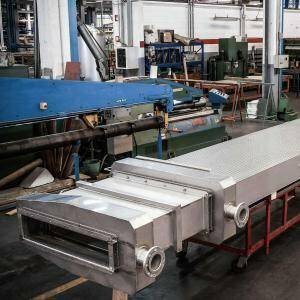 After the welding phase comes inflation, when one or both of the metal sheets is deformed depending on whether there is a single or double embossing, in order to create a passageway in which the heating or cooling fluid or gas will flow during use. 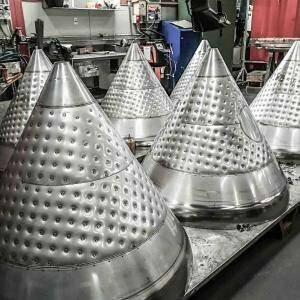 Either with laser welding or with resistance welding. 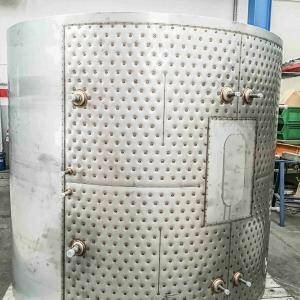 Pillow Plate, thanks to its extreme flexibility, can be used as a manufacturing component for tanks for the drinks industry (wine, beer, fruit juice, soft drinks), in milk refrigerators and in tanks for ice-cream, yoghurt, cream and eggs. Additionally, Pillow Plate can be used for numerous purposes within the chemical, pharmaceutical and refrigeration industries. Pillow Plate by FIC S.p.A. can be used wherever a heat exchange is required as part of a process. 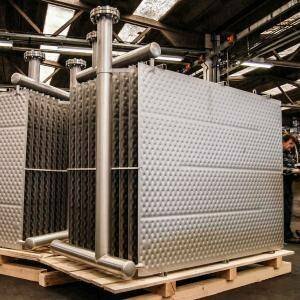 FIC can also construct plates used inside synthesis reactors which can be supplied singly or assembled in a bundle.